Yes, I am always confused when people think a 3 star read was bad! It means I liked it, but there were a few things that didn't work for me. I don't rate books but the books I keep are the ones I want to read over and over again. 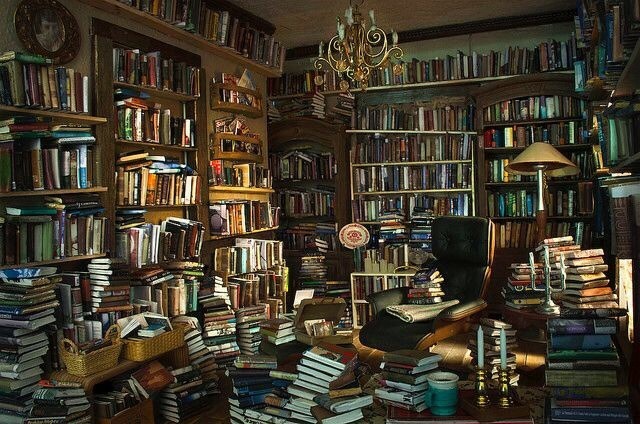 You are absolutely correct that there is something particularly comforting about being surrounded by the books you absolutely love. There's something so comforting about just being able to page through a favorite book and maybe read a few pages whenever the mood strikes. I have stopped rating books on my blog, except in the case of R4R books from NG, etc. I also give stars on GR because that seems to be a major way of their organizing them. I have to admit that I give way too many 5 stars, and even way too many 4 stars, if 3 is considered a good, worthwhile read. Once I began blogging and was too exuberant in rating books, it became impossible to step back and change the way I rated them. If I began giving 3 stars to good books, people would say to me, oh too bad you didn't enjoy that one. It became too confusing for me. Thanks Rita. I don't rate books on my blog, but I do rate them on Goodreads and Netgalley too. I think you got at what I consider a "five star" read -- something that gets into my head, keeps me awake, keeps me turning pages even when they are other things I should be doing. They're books that I talk about obsessively and books I want to be able to look at on my shelves and remember fondly. I rarely give five stars (but will quite often want a 4 1/2 star rating). For me a 5 star book is one I want everyone to read, I will go on about it, I will push it onto people. When it's finished I won't want to stop reading it, and won't want to read anything else. It stays in my head after I've finished, and when I'm reading it I want to read it above other things. I feel like that's how other people in our lives would categorize our five star reads - "those books they won't stop talking about!" Sorry blogger is being such a pain! Thanks for sharing your thought about ratings. I agree, a five star is one I definitely want to share with others. I don't have a lot of shelf space, so have resigned myself to not keeping too many books. I think I do pretty well with not collecting too many books, but my husband is a bit of an enabler. He keeps finding new places in our house for books to live!! I've been thinking about this question a lot as I've been mentally preparing my choices for the Man Booker International Prize short list. I don't give stars, necessarily, but I agree with you that the book must be riveting in story and for me it must have characters who become almost real. Also, the writing has to be stellar, no obvious phrases that I've heard many times before. It is an interesting question. That's a great point about cliche-free writing and characters who seem like real people you could encounter at any moment! I often have a hard time deciding between a four and five star review! Right now, I'd say my five star reviews are the books I want to keep for awhile and would suggest to other people, but I think I still have a tier above that of books that I want to keep forever and whose impact on me has more staying power.